7. On the Content screen, click on either the Tools drop-down menu. 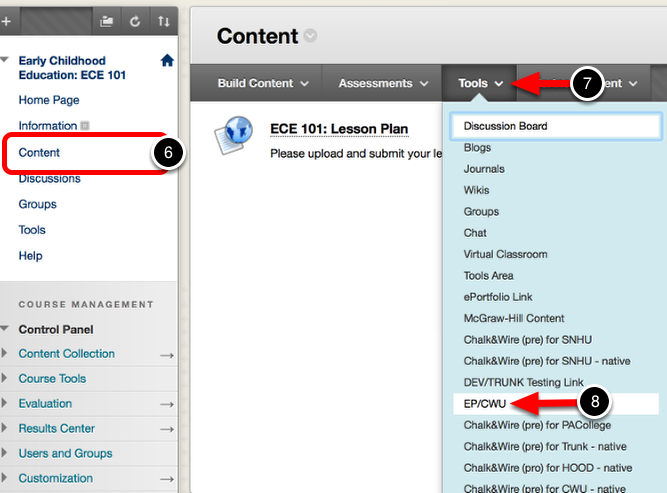 NOTE: Using the "Assessments" drop-down menu will provide you with assessment-based links to Chalk & Wire, whereas the "Tools" drop-down menu will provide you with non-assessment links (such as a link to the Dashboard). 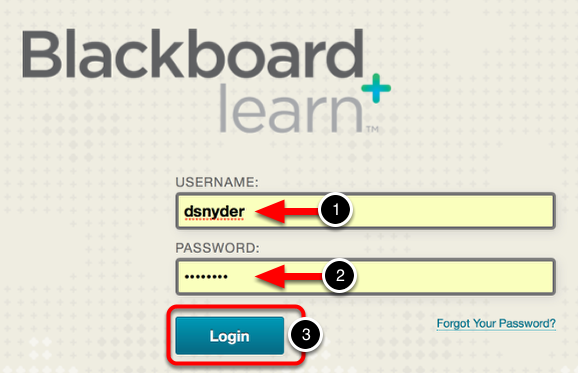 If you select a "Tool" and students submit for assessment, the grades will not be able to be pushed back through to Blackboard from Chalk & Wire. 9. Enter a Name for the SSO Link. 13. If you would like to enable evaluations, select Yes. 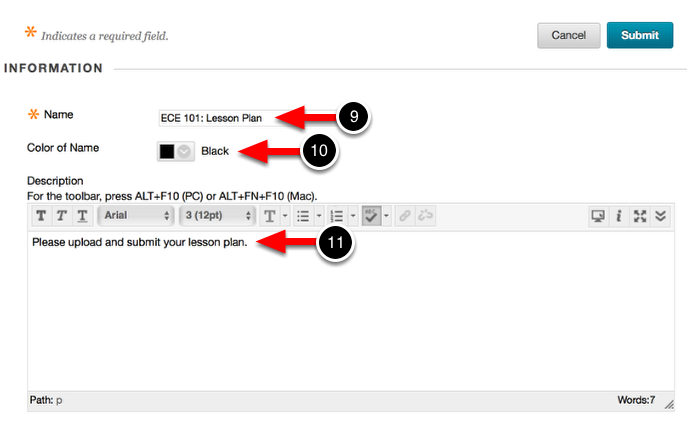 This will allow grades to be pushed back to Blackboard from within Chalk & Wire. 14. If you chose "Yes" in the previous step, enter 100 as your Points Possible. 15. Select whether or not the evaluation will be visible to learners. 16. Optionally enter a Due Date and Time. 17. Select whether or not you would like to Permit Users to View this Content. 18. Select whether or not you would like to Track Number of Views. 19. Optionally enter Display After and Display Until dates. 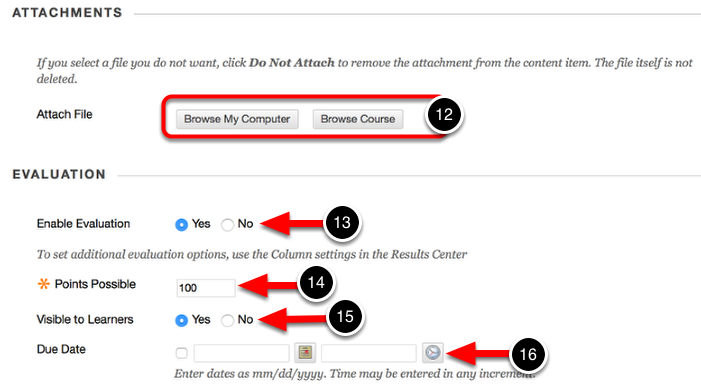 The SSO link that you've just created will now appear in the "Content" section of the course, ready for use by students.